Highly sought after Biltmore location! 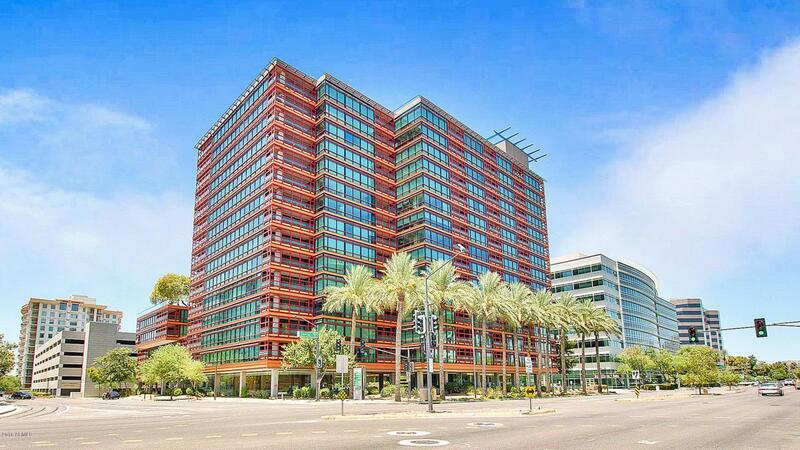 Bright & open 3 bed 3 bath condo with floor to ceiling windows and stunning Piestwa Peak & city views. Open kitchen has granite slab countertops, stainless steel appliances, gas cooktop, contemporary cabinetry, & stone flooring. The spacious master suite features full bath, custom walk in closet, & exits to one of two private terraces. Popular split floorplan includes an additional master suite, full guest bath, and third bedroom, perfect for a home office. New Kahrs hardwood flooring in the main living spaces and plush Mohawk carpeting in the bedrooms. This property includes two secured underground parking spaces plus storage.